"Bleeding edge lightweight software with some risk"
You always have the latest version of any program. It has an awesome wiki that helps with anything. Very easy to customize (you install only what you want). Huge software repositories, which provide any software you might want. Because it is rolling release, your installation might break sometimes. Somewhat difficult to install and maintain for the first time. Sometimes it is difficult to get help from the community as they aren't really that friendly to new users, it is recomended to start with other distros before Arch. Make sure you are knowledge enough and have enough experience with Linux before trying out Arch, it has a steep learning and adaptation curve. A very lightweight distro that allows you to only run software you want, I would say it is very good for staging or pre-staging. It also allowed me to use software I would not be able to use in other Linux distributions without doing funny stuff. And if you have some experience with Arch it is pretty easy to fix problems with drivers, updates, etc. What do you get out-of-the-box in this distro? Trick question: it doesn't come in a box. With Arch, you configure your operating system yourself. 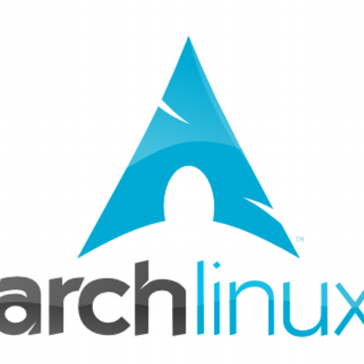 Arch Linux is simply the most vanilla you can get when it comes to Linux operating systems. Sure, a lot of people will discourage you to jump into it because of the steep learning curve, but it's absolutely worth it. It might take you an entire week to just install it, but just by getting into a tty terminal of your newly-installed system, you've already learned so much about how Linux works. But that's just the tip of the iceberg. With Arch, you're getting yourself in full control of your system, choosing all your configurations along the way and learning bits and pieces about how Linux and computers work in general. Ultimately, the best thing about Arch is its simplicity and its philosophy. There is absolutely no bloat. All you ever start with are the essentials to make your computer beep. Just add what you need when you need it. And since you put everything together yourself, you can tailor each Arch installation specific to your needs. Need to install Arch on a 30-year-old laptop? Or perhaps you want a portable Arch installation on a 4GB thumb drive? Configure your system in the best way possible for your use-case. Personally, I was attracted by Arch because I never really liked the window managers bundled with any OS ever. Replacing it with another leaves my system with unused packages I may never see again, and that just feels dirty to me. The other beauty of Arch is its package repositories and the AUR. If it's on linux, you can probably bet that there is an Arch package for it. All the packages are just so diverse, and you can easily build your own PKGBUILD configurations if none exist for the program you need. Lastly, Arch Linux is a rolling release distro. Personally, I find this as an advantage since it's much less of a hassle to upgrade especially when you can do it more often. It has been a very rare case that I break existing packages when upgrading, unlike on biannually-releasing distros like Ubuntu. I really can't say too much bad things about Arch Linux. Since it puts you in control of everything, it is only your fault if something goes wrong with your setup. This is the way Arch Linux is designed and the way that it should be used. The biggest issue with Arch is perhaps the AUR being unmoderated. The AUR repository may be full of wonderful packages, but without prior knowledge and careful checking of each PKGBUILD, there is no way of knowing if the package you're installing is trying to get root access and doing some funky business with your system. 1: I would highly suggest for you not to use bulky Arch derivatives like Antergos and friends. It certainly makes installation exponentially easier, but if that's what you're after then you're probably better off with another pre-packaged distro like Ubuntu. 2: If you're considering Arch for your business solutions (deployment servers, for example), Vagrant or other image management tools might help greatly. 3: A bit of a stretch, but I would suggest that instead of using AUR helpers, you build your packages yourself and create a sustainable way of upgrading AUR packages regularly. This way, you'd get less surprises down the road plus you'd have the ability to customize some builds if they don't work properly. Currently, I use Arch as my primary and daily Unix OS for development. I have it installed on a portable hard drive, taking up half its capacity for storage and swap while the other half is being used as a regular cross-plaftorm NTFS storage partition. My Arch is configured to run as an alternate boot device on any modern computer, so I always have my OS with me even when I don't bring my laptop. I am also considering build Arch images for lightweight and single-purpose deployment servers. "Enhances your knowledge with best documentation ever"
It is one of the best Linux available with everything provided in documentation from installation to use in easy steps. Packman package manager is the best which provides recommendations and application list which you can pick for your system. All the updates for any application is first rolled out for arch Linux. It is purest form of Linux. It provides a great lightweight system for the users. Although arch is very stable still it rolls out the release distribution so frequently. The installation process for a beginner is very gruesome. People may find it very hard to install arch due to many steps involved. Arch Linux was my daily driver to systems. It was a Linux from scratch for me. It gave me a unique and standalone system for making my servers. These were way ahead in software updates from other Linux systems.I had my own foundation and got all control on my system with almost all types of desktop environments. As with everything Linux video drivers are not the best, sometimes framerates and framebuffers are glitchy. I find annoying that the makers of graphic cards don't thake this into account and in Linux the performance is hindered where it's not in other OSs. Try it, specially if you are more freedom oriented. Productivity. For developers finding a Linux distribution that you're comfortable with is gold. "Light GNU/Linux for low performance devices"
It has a minimal memory footprint, allowing the system to work mostly on essential tasks. Moreover, I like to have full control over system: Arch comes with a minimal CLI version; on top of this only the required packages are installed, in contrast with some more user-friendly distributions where all packages are installed, and then the user must delete all the non-required ones, often not being able to detect all of them. 2. Rolling release makes it hard to know when to update a packet, as newer version may not be entirely stable. 4. When the maintainer changes a package configuration file, the packet manager does not check for changes; thus it does not warn the user, asking the correct action to take. Arch online documentation has an excellent guide on how to install it; following it step-by-step, it leads to a working version in a very short time. If you need a quick-and-dirty solution, there exist some scripts that make the whole process faster. 1. A cheap raspberry can be set up in CLI only mode and be used for ARM software testing and as a small server for network software. 2. It is excellent on virtual machines where a simple and effective DE with the minimum number of tool suffices. La capacidad de hacer que la estación de trabajo haga/sea cualquier cosa que necesite. Muy bueno cuando se "usan varios sombreros" y extremadamente personalizable. Comparado con Windows 10, es varias veces más rápido y mucho más elegante en diseño y uso. El AUR hace que la instalación de paquetes no estándar sea muy fácil. Con pacman/AUR, usted tiene muchas más opciones que con Ubuntu y APT. En ocasiones, la gestión de paquetes se ve interrumpida por archivos en conflicto. Este no es un problema real, pero se tardan unos 10 minutos en corregirlo cuando ocurre. Asegúrese de tener suficiente conocimiento y experiencia con Linux antes de probar Arch, tiene una curva de aprendizaje y adaptación muy pronunciada. Archlinux is the powerful baseline for Linux systems. You can include as little or as many features as you want. This makes it a good option for building sleek, fast systems. you can setup an Archlinux server to do exactly as you want, no more and no less. Since it is a flexible system it also makes it very technical. While Archlinux has great documentation, it is a chore to setup. Unless your system needs the flexibility, Archlinux is often not worth the time. When setting up the webserver Archlinux was a candidate as it would allow a lot of control over our system. However, we instead went with CentOS as it was easier to setup and a very stable system. "Arch Linux for who want fast and custom setup." its got a really awesome wiki where you can know about every bit of the OS. from how to install to how to use a specific program. apart from that, the installed version is very minimal and one can add things according to his needs. for a new user, it's a little confusing and difficult to use but he can always read the wiki. by default, the wiki is only available online so if your net drivers are not working you might have little trouble. but there is a package available for keeping wiki offline too. daily updates.if you fail to update it daily you might see a huge update in some time. The ability to make the workstation do/be anything I need. Very good when "wearing multiple hats" and extremely customizable. Compared to Windows 10, it is several times faster and much sleeker in design and use. The AUR makes installation of non-standard packages very easy. With pacman/AUR, you have far more choices than you would with Ubuntu and APT. Use a derivative like Manjaro. It's pre-packaged Arch, and has most everything built from scratch for you. "Cutting edge software while maintaining stability"
The package manager is simple and installs packages easily and without any hassle. The software is also cutting-edge and is updated frequently. Remember to save your previous packages and use downgrade when things break. "Arch is my daily driver"
Arch is, by far, the best Linux distribution that I've ever tried. It gives me all the power to create a completely tailor-made installation on whatever device I happen to be on. The installation process is not as simple as it used to be. The main reason why I think Arch is better than the rest is the package manager, otherwise known as pacman. It is fast and extremely solid. No other package manager has been this reliable in all my years of running Linux. "Extremely lean and hands on Linux distro"
The fact that you can start with a bare bones install, and get to a functional system based on what you need rather than whats assumed users need. Microsoft firmware issues are a bit of a pain. But this is often a broad Linux support issue rather than an Arch Linux issue. It's the OS of one of my machines used for development. "Clean and stable Linux distro"
The ability to set it up the way you want to. No big bloat. For beginners, it is not that easy to understand. * We monitor all Arch reviews to prevent fraudulent reviews and keep review quality high. We do not post reviews by company employees or direct competitors. Validated reviews require the user to submit a screenshot of the product containing their user ID, in order to verify a user is an actual user of the product. Hi there! Are you looking to implement a solution like Arch?